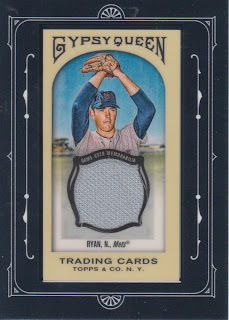 Even if it is Friday the 13th, I couldn't be more happy that it is finally here... talk about a hell of a week... anyways, I sold my Joe Panik Bowman Sterling card on eBay the other day and I took the money over to COMC yesterday and picked up quite a few Gypsy Queen cards... can't wait for them to ship so I can show them off. 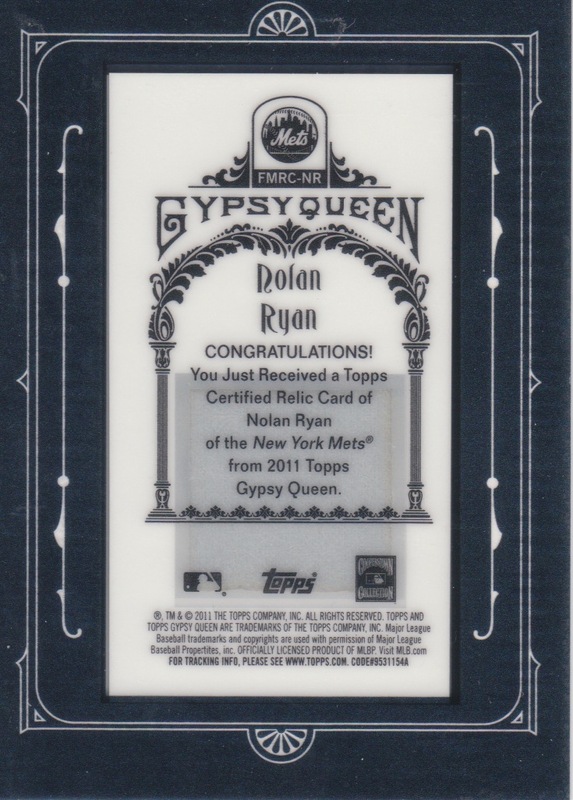 I've also decided, that along with the mini-relics, I'm going to also collect the full sized relics too, so I've added that list to my "want list" for "GYPSY QUEEN!!!!" With my purchases (and one pending trade) I've now got 17/24 of the mini's and 4/20 of the full sized relic cards. The full size ones don't have any of the "legendary" names like Ruth and Gehrig that the mini's do, so I'm hoping it'll be a bit easier to finish off! 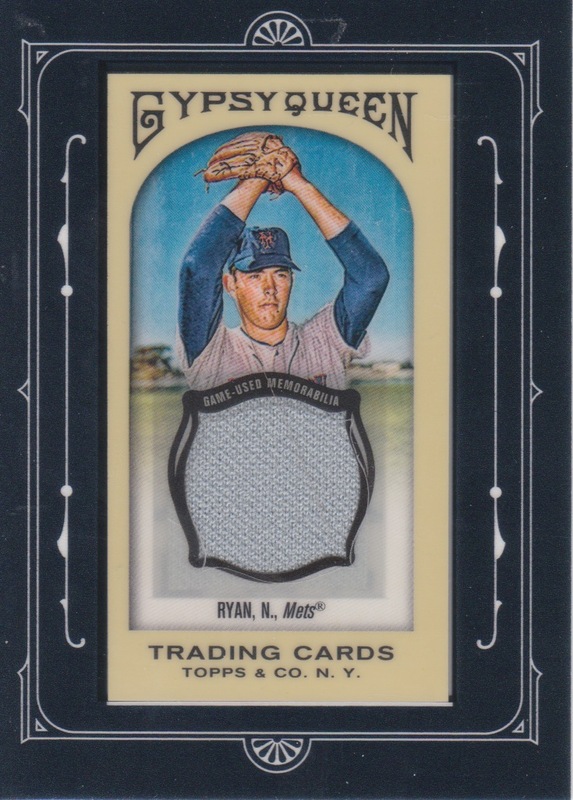 My one qualm with this card: that swatch is OBVIOUSLY from a Rangers uniform (pants probably) so why mis-represent with the Mets picture? Other than that, I LOVE IT! 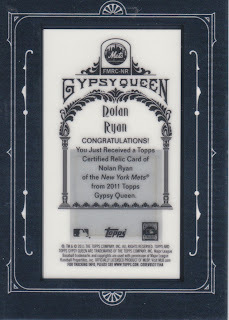 You all know, and it goes without saying, that I'm a HUGE Gypsy Queen fan, so this card is even more special to me. Is it Friday yet? Or at least happy hour? Sittin' Around Saturday... going to be busy!